2. 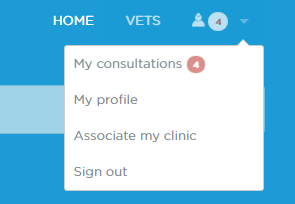 Once signed in, open the menu clicking on the vet logo. Choose Associate my clinic. 3. First of all check that your clinic isn't registered. Write your postal code and click on the Next button. 4. 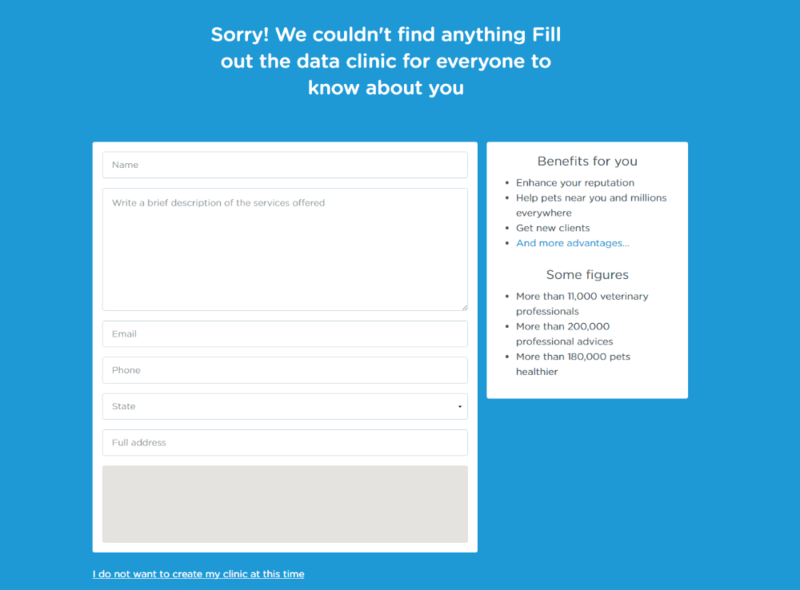 If your clinic is not registered you will have to complete the data. Be carefull, the email and phone number are the way new clients will contact you, we recommend to check them twice. 5. Once the process is finished you will be able to acces your associated clinic in your personal menu.